• Bill Coppin captures Rutland Water’s best fish of the season so far9lb 5½oz Rainbow for Rutland regular Bill. We were treated to the biggest fish of the season at Rutland Water with Bill Coppin of Wisbech bringing an outstanding 9lb 5½oz Rainbow to the scales at the lodge. Bill was bank fishing off Sykes Lane and took this lovely fish with a size 14 diawl bach on a floating line. Bill is no stranger to Rutland’s big fish having netted many specimens over the years. He is considering having this fish set up to go alongside his personal best ever fish which was a 10lb Brown. Other notable catches this week were a number of specimen Brown trout, the majority of which were released to fight another day (and get bigger!). Ranger Nigel Savage took two cracking Browns – the best of which weighed 4lb 8oz. Nigel was fishing from the Harbour Wall and his fish fell to fry patterns on a long leader. Local expert guide Al Owen put his customers amongst the fish once again with a special mention going to 14 year old Harry Widdowson who recorded 8 Rainbows for 16lb. Holidaying angler, John Caldwell of Rotherham, had three good days bank fishing netting 17 quality Rainbows, the best of which weighed 3½lb. John caught most of his fish on buzzers, with the odd fish falling to a black tadpole. The temperature has finally risen and triggered the eagerly anticipated buzzer hatch. Buzzers have taken the majority of fish this week, fished on floaters or midge tips. Buzzers have been most active from 11a.m. onwards and the fish are responding immediately, following the buzzers up in the water column, feeding hard. During these times the washing line method has been the best line of attack, allowing the top three feet of water to be fished effectively. Towards the end of the week night time temperatures dropped and a stiff easterly wind hampered the boat anglers, but anglers who found some shelter caught well on nymphs and buzzers. In these conditions it has been better to fish a small weighted lure on the point to achieve more depth and give the fish something to home in on. A few boat anglers have ventured down the bottoms of the arms with mixed results, those that have persevered have been rewarded with a few high quality over wintered fish. 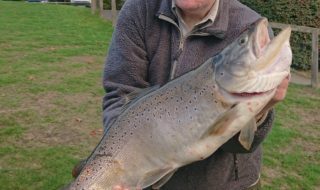 These same anglers reported seeing some very big fish in these areas – so it is well worth seeking out a big Rutland resident. This coming Sunday, 26 April, Rutland Water Fly Fishers will be holding the first of their bank meets from 10a.m. to 12 Noon. Anglers of all ages and ability are welcome to come along. The exact location will be decided nearer the time – please email rutlandwaterflyfishers@gmail.com for more information. Best Rainbow 9lb 5½oz – taken by Bill Coppin of Kings Lynn. Best Brown 4lb 8oz taken by Nigel Savage of Edith Weston. Best boat areas See report. Best bank areas See report. Mid week boat winner Daniel Day of Tilney St Lawrence. 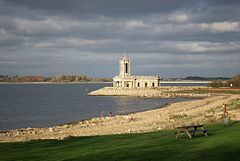 Grafham Water has fished well for both bank and boat anglers with a healthy rod average of 3.94 with around 20% of the trout taken weighing 3lb and over. There have been a number of good catches reported this week, among them was season ticket holder Steve Jones of St Ives. Steve caught and released 46 trout on four visits to Grafham. Competition anglers have also had some great sport – see Competition News. Bank anglers have had another great week with the vast majority of trout caught coming from the north shore with the Willows, G Buoy, Deep Water and Pylon Points and Hill Farm giving the most consistent catch rates. The best bank methods have been to fish floating lines with black and green lures, Cormorants, Diawl Bachs and buzzers fished slowly or static. Boat anglers have also enjoyed some great sport with most areas of the reservoir providing consistent catch rates. The best boat areas this week have been the Willows, G Buoy, Deep Water and Pylon Points, Hedge End, Church Bay, Hill Farm, Stumps, Mander Car Park frontage and Valley Creek. The best boat methods have been to fish sink tip or fast sink lines with black and green or black and orange buzzers. Competition newsMGFC 16 April37 Anglers took part in this match, catching 141 trout for a great rod average of 3.8. The vast majority of competitors fished floating or sink tip lines with a team of buzzers in Valley Creek, Seat and Mander Car Park frontage. Top rod on the day was Neil Fitzjohn who caught 8 trout for 24lb 11oz with his best a cracking over wintered Rainbow of 4lb 12oz. 1st Neil Fitzjohn 8 fish for 24lb 11oz 2nd Russell Hunter 8 fish for 22lb 3rd James Reid 8 fish for 21lb 15ozBest fish Mark Brinkman 5lb.Best boat pairing Neil Fitzjohn & Ivan Scurll 16 fish for 46lb 9oz. Bob Church Open (Frank Cutler Memorial Trophy) 18 April.22 Anglers took part in this prestigious competition catching 82 trout for a rod average of 3.72. Top rod on the day was Graham Pearson of Leicester. Graham took 8 trout for 26lb 11oz (including time bonus). Graham won this competition by fishing a 9 foot midge tip line with a team of black buzzers with orange cheeks from Pig Bay. Best fish Paul Angell 3lb 11oz. Best lady rod Liz Fraisier. Best Rainbow 5lb 5oz taken by James Turner. Best Brown 7lb 2oz taken by Adam Wright. Best boat areas G Buoy, Pig Bay, Hill Farm, Willows, Marlow Bay, North Dam, Deep Water Point, Stumps, Hedge End, Pylon Point, Seat, Mander Car Park frontage, Valley Creek. Mid Week Boat Winner Steve Short of Kent. Buzzers are still accounting for most of the fish caught this week but the changeable weather conditions, particularly the cold easterly winds, have again made it difficult on some days. In favourable conditions teams of buzzers on floating or midge tip lines have been very successful. If the colder wind has pushed the fish down then intermediate or sinking lines with Gold Head Damsel or similar tactics have still worked. On Saturday Peter Proctor and John Gammon had an enjoyable day boat fishing with buzzers, taking several Rainbows, two Browns and a Pike of around 10lb. The best areas for boats have been Bog Bay, Brixworth Bay, Stilton and Stone Barn. Bank anglers should try Duffers, Gorse and Northfields Shore. Mid week boat winner Paul Hopwell. 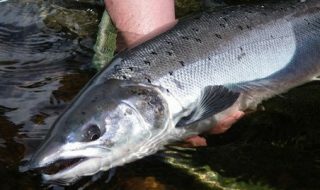 Second Saturday of each month Pitsford will be offering fly tying tuition, casting coaching and general fishing advice.Beginners courses 24 April; 7,10,16 & 29 May; 7 & 19 June and other dates throughout the season.Anglian Water Rudder Match 23 May. Anglers are enjoying some terrific buzzer action at Ravensthorpe this week with a rod average of 8.0. Alan Duffin has made it on to the big fish board again with the biggest Rainbow of the week. It’s been a good week for bigger fish with 9 fish over 6lb being caught. Alan Duffin has taken the biggest fish again this week with a 10lb 15oz specimen caught on a black buzzer and intermediate line from the Dam. Other good fish included a 9lb 6oz Rainbow which fell to Michaela Davies and an 8lb 6oz fish caught by Phil Rose on a black tadpole at the Coton End. Buzzers are definitely the top tactics fished on a floating or midge tip line. Some boat anglers have been cleaning up at the Coton End, catching 60 plus fish. The trout are fairly tightly shoaled up which can mean neighbouring boats have not had it so easy. On cooler days with an easterly breeze the fish have been taken more effectively on Pitsford Pea and Orange Fritz Tadpoles but still on nothing more than a slow sink intermediate. Best Rainbow 10lb 15oz taken by Alan Duffin. Best boat areas Coton End, the Domes. Best bank areas The Dam, Platforms 4-8. Mid week boat winner Geoff Makin. Forthcoming events Thursday evening Boat fishing club starts 7 May, 6pm.